Sometimes you just don’t fancy going for a walk. Maybe you’re too tired, or you have mobility issues, or perhaps the weather is dreary – but that doesn’t mean you can’t still see some amazing views! We’ve put together a few of the best scenic drives in the Peak District so that you can take in the beautiful countryside, whatever the day may bring. Snake Pass is a hill pass in Derbyshire, crossing the Pennines between Glossop and the Ladybower Reservoir at Ashopton. Thomas Telford engineered and opened the road in 1821, which at its highest point is 1679 feet above sea level. The Pass has beautiful, green hills on each side and runs along the river Ashop. Both sides boast pretty flower patches in the warmer months and the road’s long, sloping path makes it a dream to drive on. 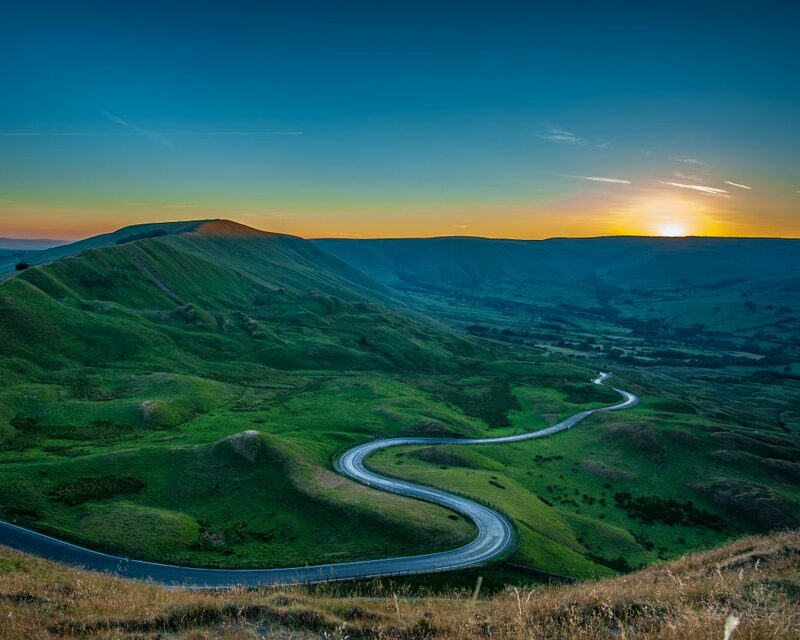 In fact, the Snake Pass was even listed as one of the best driving roads by Auto Trader magazine in 2009. This route doesn’t really have a name, but it’s still just as beautiful as the others. 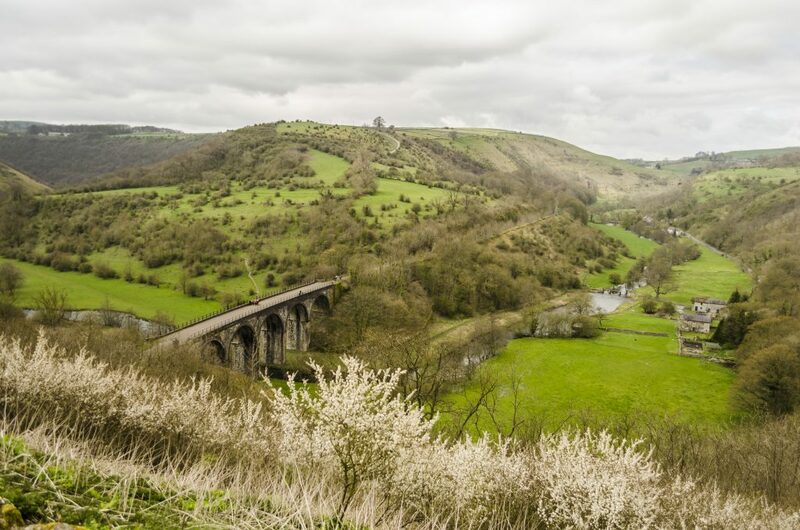 From Monsal Head car park, take the narrow, winding road that drops down into the Monsal dale. This scenic drive takes you across vast, lush greenery, where you will end up at a pit stop with a few eateries. You can park up here and take in the gorgeous, hilly views as well as the river and bridge. Carrying on, turn right at the give way sign and then follow the road straight down. This road lets you enjoy the lovely views of open fields and local farm animals as they graze. At the fork in the road, turn left onto Longstone Lane. Longstone Lane is a lengthy, gently sloping road that flows through the local town. Take in the Derbyshire architecture and open plains. Once you hit the next fork in the road, carry on to Station Road. At the bottom before the turn off, you can park up and enjoy some coffee and biscuits in the local eateries whilst enjoying the view of Great Longstone and beyond. If you fancy going a little further, then carry on and turn left onto Moor Road. As you travel up the gentle hill, the stunning view of the Peak District countryside will welcome you. With hillside on your left and mountainous views to the right, you’ll be able to stop off at one of the many lay-bys and watch the sunset from a fantastic position. Bring a picnic and enjoy! 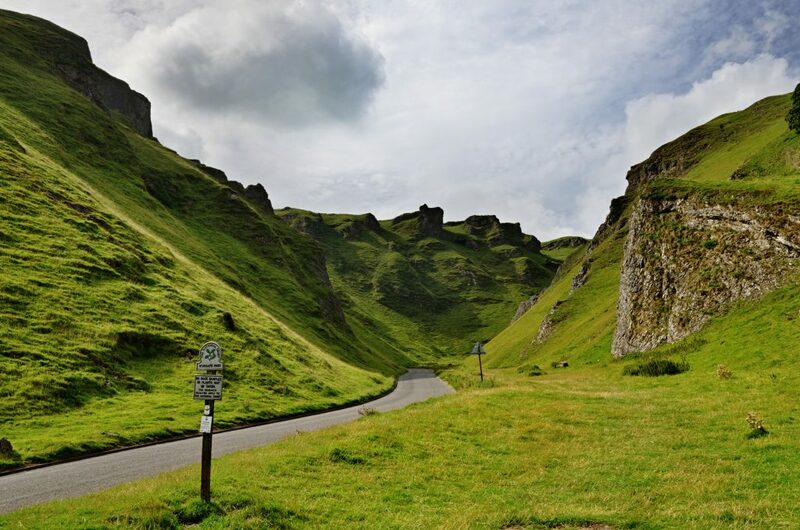 Winnats Pass is a protected site, known as a Site of Special Scientific Interest (SSSI). This is because the limestone valley is full of fossils from the sea creatures who inhabited the tropical sea that the valley was once beneath. Due to its protection status, you cannot move, displace, or damage any rocks or plants there. But you can go for an amazing drive. The valley is surrounded by tall, green mountains and luscious flora. If you’re lucky, you may even get to see some free-roaming sheep as they graze! It is difficult to put the beauty of this place into words. We’ll just say it’s not a driving route that you’d want to miss. This driving route is a must for those who love the water. It slopes around the Ladybower and Howden Reservoirs for almost 8 miles. Near King’s Tree, you also get a stunning view of the Derwent Dams. The route has a good mix of woodlands and water, so you’ll have plenty to look at. The neo-Gothic Dam is a marvellous piece of architecture that was built in 1916. 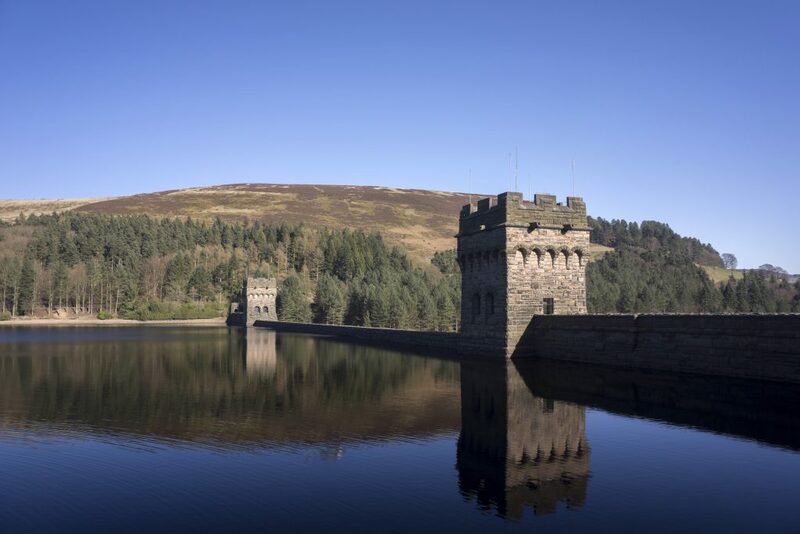 It filters 3 reservoirs and supplies nearly all of the water for the Derbyshire area. Fun fact: The dam has only even spilled over once, and funnily enough, that was right after it was finished. If you want to take this drive, be aware that on Sundays throughout the year, and Saturdays and Bank Holidays from Easter until the end of October, the road beyond Fairholmes is not accessible to motor vehicles. This is in order to provide a more peaceful setting for walkers and cyclists. However, drivers with a blue badge can still drive up the valley during these times. Great news for those with mobility issues! Please note that the area is very popular in the summer. As such, there may not always be parking available. Consider taking public transport or cycling during peak times if you want to have a walk around. We hope you enjoyed reading our list of great scenic drives in the Peak District. If you feel like driving down to check out a few of these routes, why not book in to stay at one of our luxury holiday cottages or our caravan site? We’re close to all the major routes since we have 2 cottage sites to choose from. You can even bring your dog along for free!